We Are Now A Top Ranked SEO Agency! Brainiac Web Designs has been selected for inclusion as a Top SEO Agency in Akron! 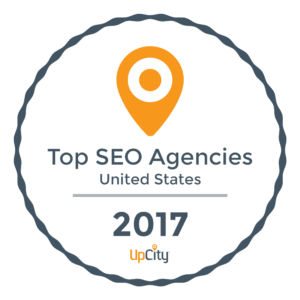 The ranking team at Upcity assesses agencies across the country and have determined Brainiac Web Designs to be one of the most reputable, and commendable partners providing SEO and digital marketing services for small and medium sized business! You may view our ranking as well as other qualified companies here.